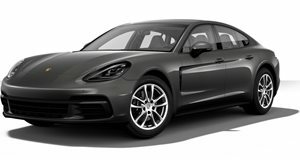 Notice how this Panamera looks a bit weird? That's not a mistake. Sometimes upcoming new cars are hiding in plain sight. The 2019 Bentley Flying Spur is one of them. Fortunately for Bentley, it’s a part of the Volkswagen Group, meaning it has a lot of technology at its disposal, not to mention platforms. Speaking of which, that next-gen Flying Spur will ride on the same large rear-wheel-drive platform that underpins the new Porsche Panamera. Instead of going with the typical camouflage over a production body, Bentley instead opted to cover the new Flying Spur with a Panamera body. After all, it literally bolts right on. Same platform, after all. Automotive Mike noticed this at the Nurburgring and managed to get some close up shots of how we can tell this isn’t really a Panamera. First thing to take note of are the wider fenders; they simply don’t look right in their current application. Makes sense because the Bentley will be wider than its Porsche cousin. Upon close inspection you’ll also see this “Panamera” is registered as a Bentley. It even has a Great Britain license plate, despite being a left-hand drive model. 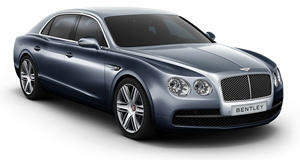 We already got a sneak preview of sorts of the new Flying Spur at Frankfurt last September. That’s where its coupe sibling, the Continental GT had its premiere. The Flying Spur is the sedan version. When will it debut? If we had to guess we’d say Geneva this March or Paris next September.